On Love Performance by Annie Abrahams in Cardiff, Denise Hardman UK, Ben Robinson UK, Tony Chapman UK, Derek Piotr USA, Hedva Eltanani UK, Martina Ruhsam SI, Antye Greie FI, Ienke Kastelein NL and Pascale Barret BE. From their home, in front of their webcams, 9 English speaking performers communicate on love. The performers are united in an interface, a webcam grid visible on their screens and projected as one single video in front of the public. This way they are together responsible for a shared sound and image space and will be challenged to discover the “we” in a universe of lonely togetherness, to discover what it means to think a ” to be with” based on singularities. After five performances with only women, one with only men and two mixed fe-male in the ANGRY * series, we had in January 2013 two private webcam meetings (one in French, one in English) where we tried to analyze what was happening and what these performances did with us. One of the things we discussed was if and how the subject of Anger did influence the groupdynamics. So for this performance in the frame of the Remote Encounters conference in Cardiff I choose to change the subject. 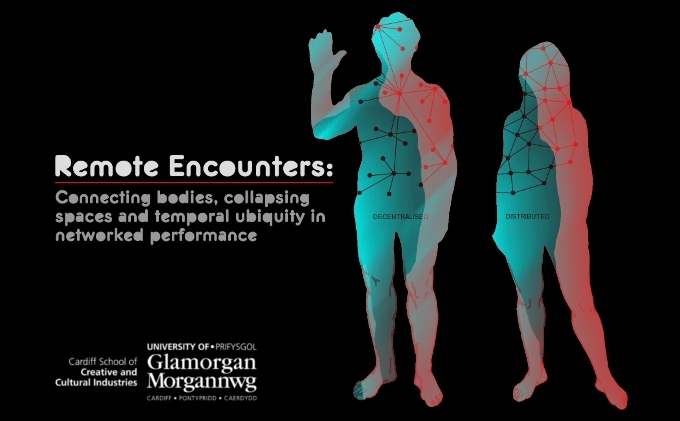 Invited as lead performance by Garrett Lynch for the conference Remote Encounters - Connecting bodies, collapsing spaces and temporal ubiquity in networked performance. Technical difficulties - changing performers at the last minute - not having the same streams all (Annie saw Martina moving, in the recording she freezes) - three (four, if we count Denise with very bad low sound in) performers with no sound at all were a big handicap. So we ended up illustrating the difficulties of remote communication more than experimenting new ways of being alone together. * the Angry Women research series started in 2011. It is a project on remote communication and collaboration using anger as a pretext but can also be described as a project on female anger using webcam performances as a facilitator. This group is constituted of artists I met sometime, somewhere via the internet and whose work is related to computer, performance, writing and or contemporay art practice. Développement interface Ivan Chabanaud mosaika.tv – Kawenga scène(s) numérique(s). Article "Meaningful connections: exploring the uses of telematic technology in performance" comparing On Love to "make-shift" by Helen Varley Jamieson and Paula Crutchlow, Elena Perez in Liminalities issue 10.1. Edited by Garrett Lynch (University of South Wales) and Rea Dennis (Deakin University). Mai 2014. If you want to know more about the backgrounds of this performance work, please read : Trapped to Reveal – On webcam mediated communication and collaboration An exposition concerning my collaborative webcam performance projects, focussing on / trying to determine the special aspects of machine mediated communication and collaboration has been published in the Journal for Artistic Research, an online, peer-reviewed journal for the publication and discussion of artistic research.